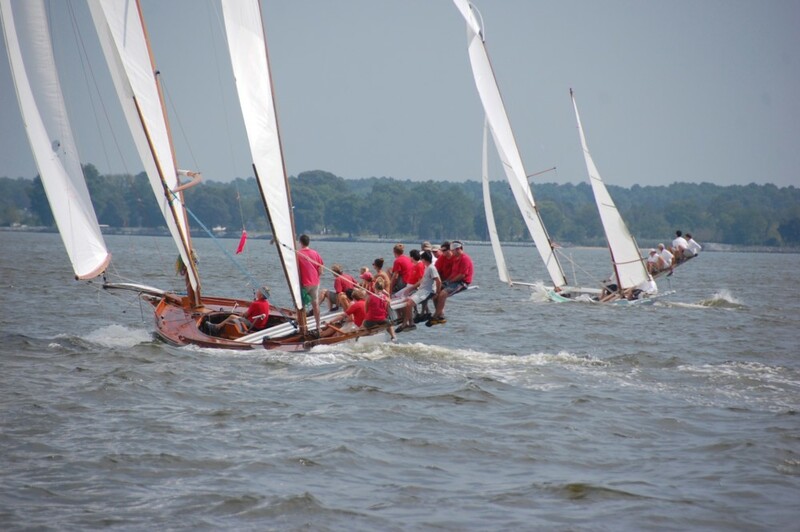 On Saturday, June 29, the Chesapeake Bay Maritime Museum (CBMM) in St. Michaels, MD is hosting a cruise aboard its replica buyboat, Mister Jim to watch the log canoe races on the Miles River. Registered guests will depart from the museum’s docks at 1pm, with CBMM Assistant Curator of Watercraft Richard Scofield on hand to share his personal experiences racing, building, and growing up with log canoes. A long-standing Chesapeake tradition, log canoe races can only be found on the Chester, Tred Avon, and Miles rivers. Watch log canoes on the Miles River from the Chesapeake Bay Maritime Museum’s replica buyboat, Mister Jim on Saturday June 29. The cruise departs from the museum at 1pm, with space limited and advanced registration needed. To register or for more information, call 410-745-4941. The cost is $20 for CBMM members, or $35 for non-members, with space limited and pre-registration needed. To register or for more information, call 410-745-4941 or visit www.cbmm.org.